Home /Content Marketing » Is it time to rev up your content marketing? Is it time to rev up your content marketing? Content is a very powerful tool in the world of online marketing, so it’s important to keep your content marketing strategy right at the top of your priority list. In order to deliver consistent and valuable information to your customers, you need to look at your strategy every few months, to make sure you are getting the most out of your content. If one of your top goals is to generate more leads, then content is what you should be focusing on. Companies that blog regularly get around 60% more leads than companies who don’t. You need to provide content that offers a solution or value if you want the best results. Your content also helps to build customer connections. Social media has been a real game changer when it comes to the way you can engage with your audience. These days, people no longer use social media only to connect with friends; they use it to learn more about brands and companies before making purchasing decisions. Surveys have shown that many customers feel better about a company that takes the time to deliver custom content and are more likely to buy from them. Using Facebook and Twitter to respond to customers who comment on your content (positively or negatively) creates a relationship of loyalty and trust that ordinarily would take years to build. Everyone knows that for a website to be successful you need traffic, which is where search rankings come in. Your SEO is bigger than just generic keywords – regular, informative and authoritative content means higher search rankings. Websites with no blogs trail behind the ones with them, since search engine crawlers reward sites with ongoing and recent postings. Be sure to keep abreast of changes and updates regarding SEO – using the same tactics from a few years ago could actually damage your rankings. Content is the perfect way to strengthen your brand – posting content related to industry news, or providing tips and statistics gives your existing and potential customers reasons to return to your site, to learn more about your brand. 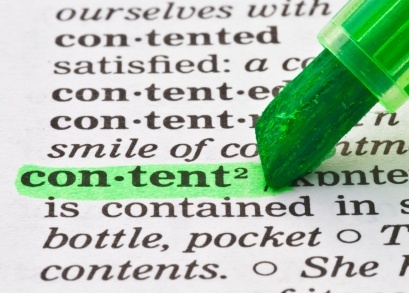 It’s a good idea to keep your content consistent on the various platforms you use. While you can adapt content to suit different social media platforms, don’t be casual and funny on one platform, very serious and formal on another, as this will confuse your audience. Content is more important than ever, so if you need help with your strategy, content creation or blogs, contact us. We’d love to assist in building a content marketing strategy that generates serious leads for your business.